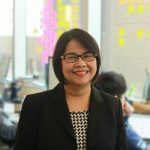 CEO & Founder, Self Care Catalysts Inc.
Grace Soyao is an Entrepreneur, Strategist and has significant experience in Patient Behavior Analytics and Intelligence. Her corporate experience and her entrepreneurial spirit are fertile grounds for her passion to discover, create, solve problems and grow businesses and build shareholder value. Her leadership and over 20 years of corporate experience are significant pillars to the success and innovative transformation of Self Care Catalysts Inc., a patient informatics, analytics and solutions company. Grace is the Founder and CEO of Self Care Catalysts, a patient informatics, intelligence and solutions company. Successfully pivoted from a patient research organization to a Healthcare IT company in late 2013 with a very specific mission to shift the power to patients through data and intelligence. Leveraged 20+ commercial marketing, strategy, patient research experience from consumer packaged goods, consumer healthcare and pharmaceuticals to build a new self care and patient behaviour analytics platform to enable patients and health consumers to drive their health future through behavior data and intelligence. Currently building and growing a team of technologists, healthcare informatics and data scientists to enable patients to finally have a voice and be their own advocates in medical decision-making and healthcare innovation.